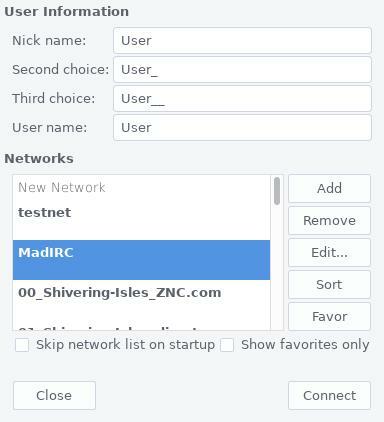 Today we want to look at how you get your local IRC client connected to MadIRC. First of all you have to install Hexchat. Go to the download page and install the latest version as usual. The easiest way to install HexChat on linux is using the package manager of your distribution. Next step is to click on Edit. A new windows comes up. Double click the newserver/6667 entry and change it to irc.madirc.net/+6697. 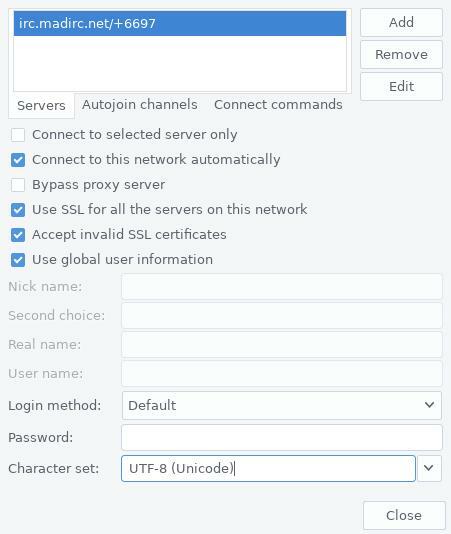 This way you tell HexChat to connect our Round-Robin address and use TLS by default. Commit this change by pressing enter. Now check the boxes in front of Accept Invalid SSL Certificate. Currently we don’t provide valid TLS certificates. 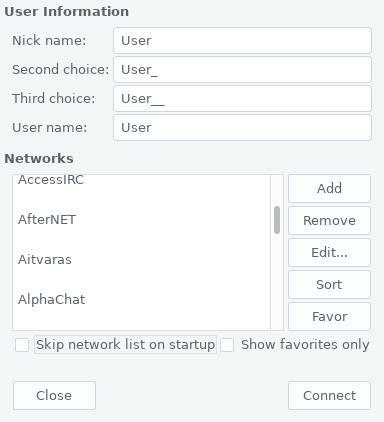 And another check box in front of Connect to this network automatically so the HexChat will automatically connect on next start. Click on Close and in the previous window on Connect.